Born in Russia, Morris Wosk moved to British Columbia in 1928. 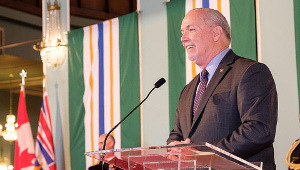 His hard work and strict adherence to honesty, fairness and respect for all, earned him success in business, a success he shared widely with the people of B.C. Over the years, Morris Wosk has become known internationally as a philanthropist, community leader and founder of many civic programs, not only in B.C. and Canada but in the U.S. and Israel. During more than six decades as an owner of retail furniture stores, hotels, and as a developer in Vancouver, he has given generously of his time, energy and financial support to a wide cross-section of his community. His support has encompassed education, youth health care, culture and science. 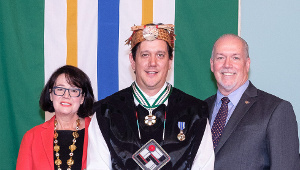 His dedication to British Columbians is illustrated by the fact that he has never invested or developed outside of the province. 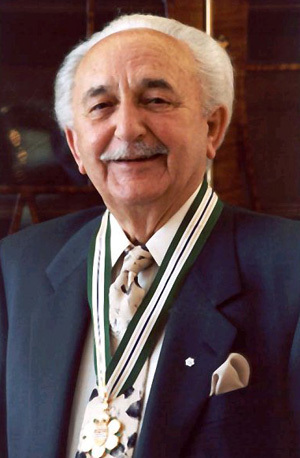 In 1980 he was the third Canadian ever to be honoured with the Prime Minister’s Medal of State of Israel, and in 1985 he received the Human Relations Award from the Canadian Council of Christians and Jews. Last year he was appointed to the Order of Canada. 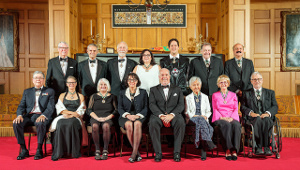 There can’t be many British Columbians the equal of Morris Wosk as a philanthropist… with the growth of his wealth, there has also grown a sense of responsibility, and a genuine desire to help mankind.